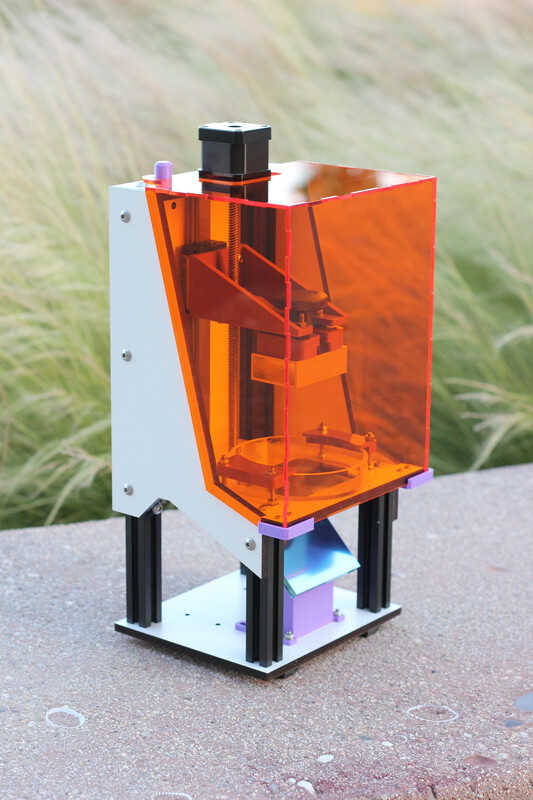 Brad Hill has designed a new 3D printer called the LittleRP that will be launching on Kickstarter today. It’s one of a crop of new affordable resin printers on the scene, and I caught up to him to discuss how it came to be and where it’s going next. How did you get into 3D printing as a hobby? I first got the bug at the San Diego Comic Con in 2012 when I visited the Makerbot booth, I had seen some 3D printers before but this was the first time I was shocked by the quality you could achieve. I did some research and ended up purchasing an Afinia that fall, a great printer but the tinkerer inside wanted something more flexible so I used it to print the parts for my first RepRap; the original Kossel. I must have been one of the first set of people to build one as there were no instructions and we mainly winged it off of Johann’s flickr photos and guessed at many of the details. Over the past couple years I have had the opportunity to build and talk with a number of innovative RepRap royalty, their designs inspired me and I enjoyed very much the varied approaches as well as the different styles that each took. Now it has been a dozen or so printers later, it’s an addiction, but a good one to have. From browsing your Flickr, it’s obvious that you’ve worked on a bunch of different machines and systems. What made you decide to build a resin printer? I have always wanted to print small and while FFF has improved a lot certain types of prints are just beyond them. As I started to focus more on jewelry and miniature prints, I found myself sending files away to be printed to get the results I wanted. I stumbled upon the DIY resin printer crowd and I felt it wasn’t getting as much traction as it could, I felt the resin printer community needed something they could use as an inexpensive reference design, to get people bit by the bug if you will. I didn’t start the LittleRP project to outperform more expensive printers, instead I wanted something affordable that would let someone see if they were interested in resin printing. If that individual also happens to be happy with a small build volume, then the LittleRP may be all they will ever need, but my main goal was to get people thinking that this option was now open to them. With some indispensable help and encouragement from the #dlp3dprinting IRC channel, the LittleRP was turned into a kit friendly product and the KS campaign was born. 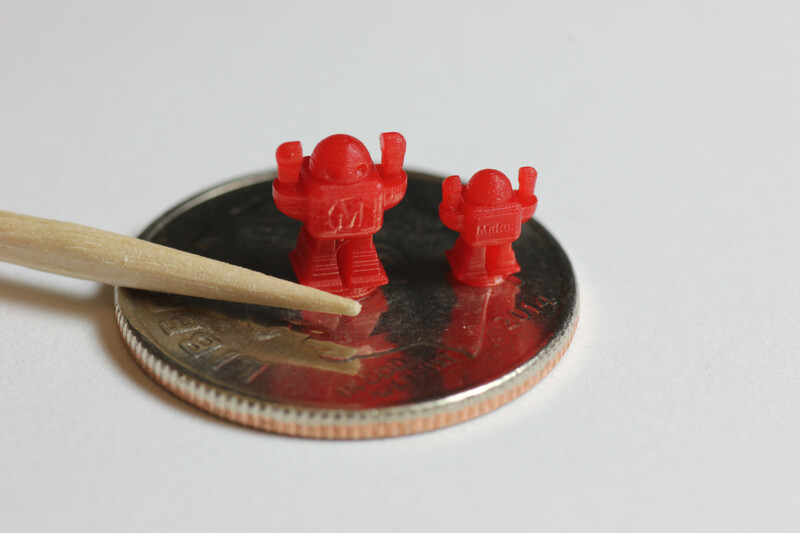 Sample tiny prints at 25 micron resolution. How is the LittleRP different from other kit resin printers in the same price range? There aren’t many printers in this price range, certainly not a bottom up printer. Most affordable resin kits like the Sedgwick 3D and Uncia use a top down approach which I feel is geared towards a different style of print. There are exceptions but in general bottom up printers allow for the much lower layer heights needed for highly detailed items such as jewelry, and this is where my interest is. All of the design files for the LittleRP will be made available, the hope is that individuals and makerspaces will be able to source and build them on their own. We are already starting to see some additional low cost bottom up resin printers, but I don’t feel any have been proven yet like the LittleRP. How long do you think it’ll take the average person to go from boxed kit to workable prints? Where does most of the time go? The build is much quicker than a filament 3d printer, the electronics and build plate are pre-assembled so it is just a matter of fastening the frame and motion components together. I would expect most people to take about 2 hours. If someone were to use our recommend resins and configurations, they could easily be printing test prints that same day. The main hurdle to those coming from FFF printing is that the software and concepts will take some time to get comfortable with. Things like pigmentation concentration, cure time, vat coatings, cleaning and proper protection will likely be new to them. Any thoughts on the DLP vs. Laser debate? As a child of the 80’s … LASERSI think both have their place and are better at different types of prints. The main reason we are seeing so many DLP based resin printers now is that the projector manufacturer has already done most of the hard work for you. DLP can be a shortcut, but it’s a really really nice shortcut. What’s next for the LittleRP? I see that the Kickstarter mentions a tilt-mechanism is in the works? We do have a tilt mechanism in the works and it is creating great prints already. There is still some research we need to do before we could offer it as an upgrade, but the Kickstarter will give us the resources needed to pursue that. While the LittleRP is CC-BY-NC-SA licensed the NC clause is more so we can keep quality control high during the initial introduction and rollout. There are a number of vat, build plate, projector and resin options we want to look into and test, Kickstarter will allow us the capital to handle that development in-house. 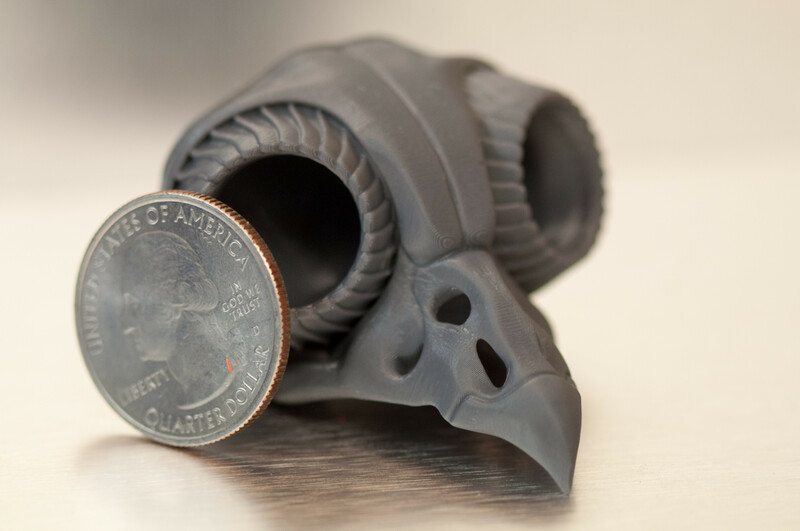 Of particular interest to me are the new low-cost casting resins becoming available and I see these as becoming a strong focus of the LittleRP. Will there be a MediumRP and LargeRP? If people love our product and want more it would be great to create that option while doing something I love.